Do you remember the "good old days" when we used to sit on the front porch and watch the neighbors kids play in the street? Or those family gatherings in the backyard? Decks and porches have always been a gathering place for family and friends. Making the most of your porch or deck may require some improvements - a roof to keep the rain off (Georgia weather does love to suprise us); screens to keep the bugs out. 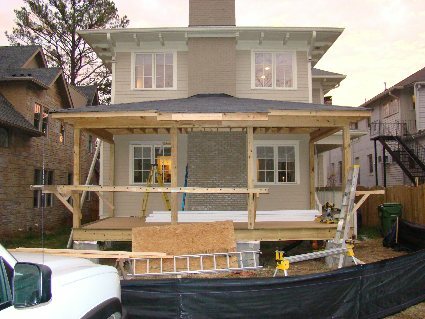 Whether it's an improvement to an existing deck or porch or building a new one, we can help you get it done.